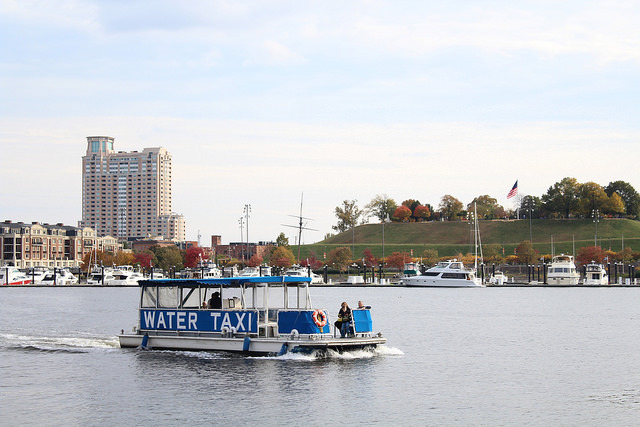 On a warm October evening the wait for a table at an Inner Harbor restaurant was two hours, tourists partied on a crowded pirate boat that sailed up and down the harbor, past upscale hotels, restaurants and shops. Six months after the Baltimore riots, which showed potential visitors what looked like a violent city in flames, tourists are starting to come back to Charm City. According to the Visit Baltimore Annual Report, tourism has poured millions into the city’s budget. More than 80,000 local jobs are tied into the industry and until the riots, more tourists were coming each year spending $5.2 billion in 2014, a 3.7 percent increase from 2013. Don Johansen, front office supervisor for Hotel RL in Baltimore’s Inner Harbor area, a new boutique hotel owned by the Red Lion hotel chain, said bookings are up even with security concerns, but tourists are cautious. The murder rate in the city is soaring, and just a mile from a bustling downtown and beautiful historic neighborhoods, many Baltimore residents live in poverty, their lives untouched by the tourism dollars. But the downtown area, although close, seems far away and according to those involved in tourism, relatively safe. For Sam Rogers, chief marketing officer at Visit Baltimore, negative press about the riots affected Baltimore’s hospitality industry, in a sense that “being on the national news created a different perception” for the city. Although Rogers clarified that the unrests weren’t fully culpable for tampering Baltimore’s tourism in April, as spring is naturally an off-peak season. Rogers said that tourism in Baltimore started to pick up again in the summer. Most of the city’s tourists are East Coasters who drive in for a day or two. It is also a popular convention city and home to some of America’s well-known museums, the American Visionary Arts Museum (AVAM) and the Baltimore Museum of Art (BMA). 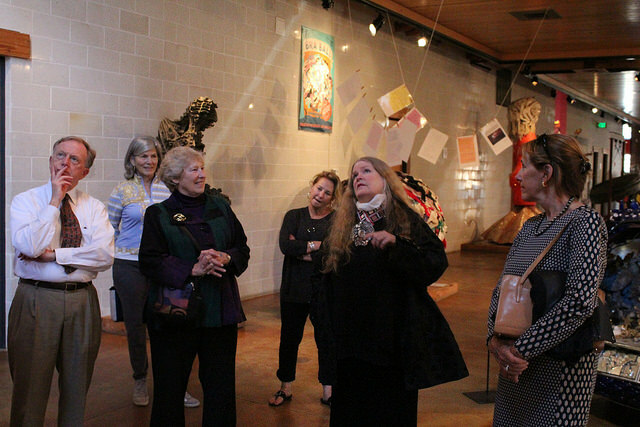 AVAM founder, Rebecca Alban Hoffberger, said that AVAM’s operations suffered after the riots, but in September 2015, attendance rose to 27 percent. As a must-see art hub, AVAM has been known to draw visitors to Baltimore from around the globe, who mostly come in to see the museum’s quirky visionary artworks that are often tied with social issues. It has also become a popular weddings venue, catering to more than 70 couples annually. Hoffberger likened Baltimore’s potential for improvement to that of Medellín in Colombia, wherein the latter emerged as “Innovative City of The Year” in 2013, having shed its image as a crime-ridden city to that of a place of burgeoning urban development. She’s planning to host a conference on how Baltimore can emulate Medellín’s efforts. 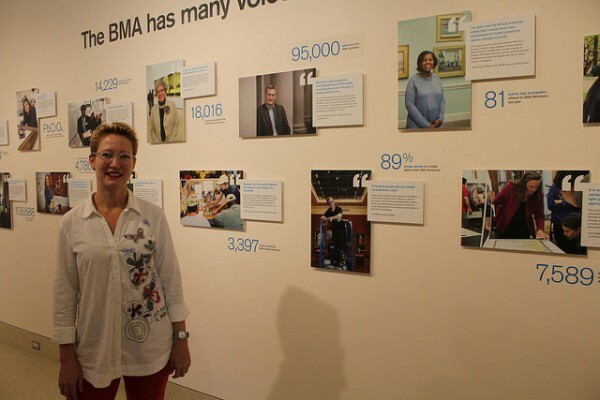 Museum leaders agree that art does pull in more foot traffic in Baltimore. Nancy Proctor, BMA’s deputy director for digital experience and communications said that 40 to 50 percent of BMA’s visitors come from outside of Baltimore. To date, BMA houses around 95,000 artworks, including the largest collection of the works of French artist, Henri Matisse. Visit Baltimore’s latest fiscal report stated that entertainment comprised 16.1 percent out of $5.2 billion worth of visitor spending behavior last year. Food and lodging were the top two, at 28.3 percent and 22.7 percent respectively. An emerging trend in tourism is the promotion of social awareness. Hotel RL’s has “Project Wake Up Call”. Together with photographer Ian Tong, the hotel wants to raise funds for Baltimore’s Health Care for the Homeless through a series of photos that show signs of homelessness around the city. “If Baltimore’s community is doing well, that’s going to drive more business to the hotel, which can mean more job opportunities in Baltimore,” said Johansen. Tourism is proven good business for any city. Last year, the White House released a report stating that travel and tourism is a major driver of the US economy. President Barack Obama set “an ambitious goal of attracting and welcoming 100 million international visitors annually by the end of 2021, who are estimated to spend $250 billion on an annual basis. While still lagging behind cities like New York City in things to do, more popular chains are coming to the city like Shake Shack. Free yoga sessions and outdoor movie are not hard to find. The city government of Baltimore will also mount its first Light City festival next year, from March 28 to April 3, . The event is supposedly “the first large-scale, international light festival” in the US, with activities such as art exhibits, music concerts, and innovation workshops in the pipeline.